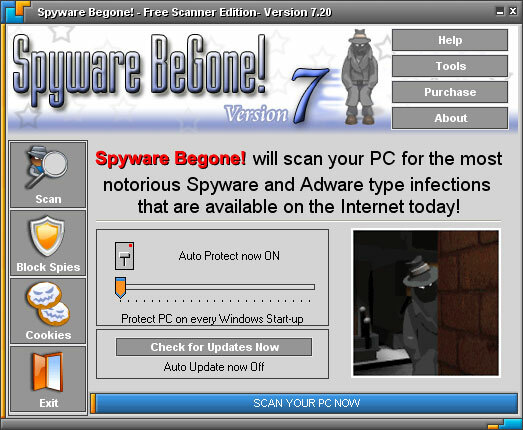 The Free Scanner version of Spyware Begone! was used to scan several computers including absolutely clean machines and systems infected with different spyware and adware parasites. Spyware Begone! 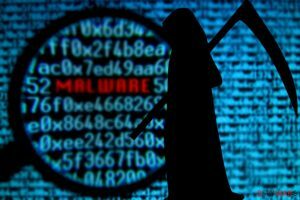 detected several installed malicious programs and did not produce false positives. The application scans the Windows registry, running processes, cookies, local files and directories. Scan reports are quite informative. Spyware Begone! has optimized engine that does not affect system performance, so the program can run even on Intel 486 class PCs. The program can perform full and fast scans. The latter is really fast, as it takes only 30 seconds to complete. However, even the full scan rarely needs more than 5-6 minutes. Spyware Begone! includes useful additional tools designed for blocking malicious ActiveX scripts and preventing browser hijacks. Other program functions are BHO Manager, Spies Ignore List, System Restore and Spy Cookies. The program’s interface is simple and quite user-friendly. However, it needs to be redesigned or at least enhanced significantly. The Free Scanner version deserves a healthy dose of criticism. Most security tools are not available, updates of spyware definitions database are disabled. 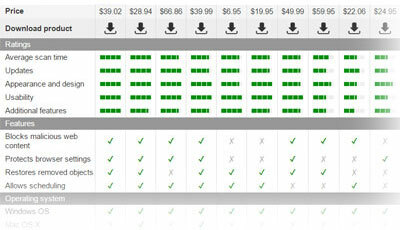 The program refuses to remove any malware it finds and asks to register and purchase the full product. Used spyware definitions database is quite small and probably does not contain a lot of spyware signatures. 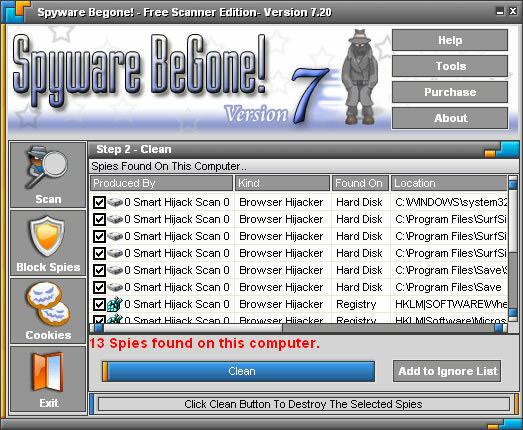 The official web site is www.spywarebegone.com. Orders are made using secure connection. In the middle of 2004, Spyware Begone! has made into several corrupt antis-pyware lists because of false positives. However, its developers successfully resolved all related problems. The program is no more prone to false positives. Nevertheless, it isn’t as much powerful as similar software by other vendors, so we cannot recommend it. This entry was posted on 2014-05-07 at 00:01 and is filed under Anti-Spyware, Software.